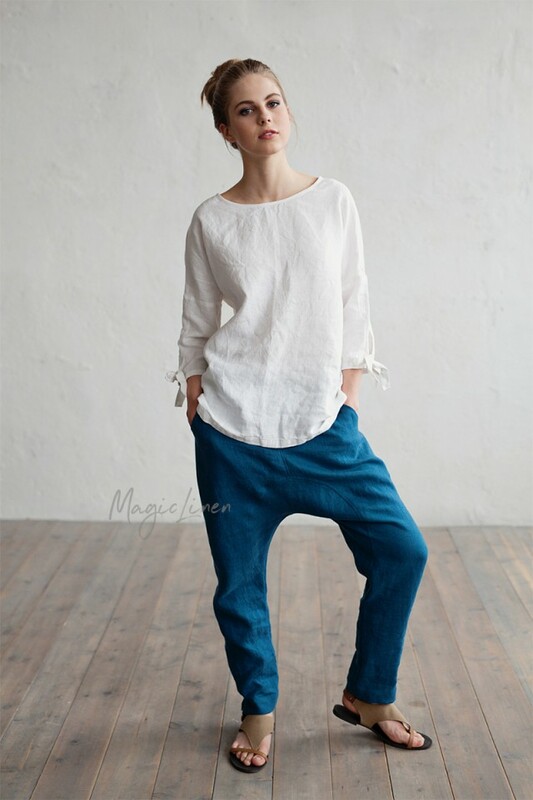 Relax fit linen pants with a lowered crotch (drop crotch) available in all MagicLinen clothing colors. 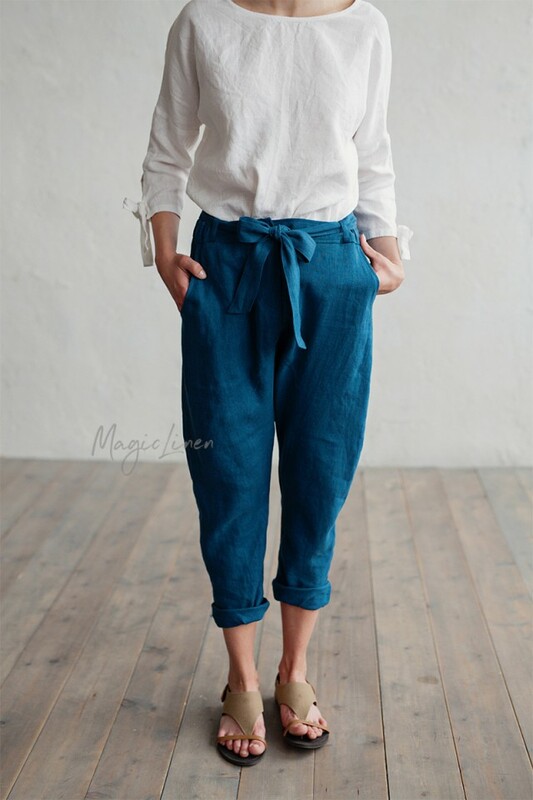 Designed to have a relaxed fit, these linen trousers feature a belt, a zipper fly, and two roomy side pockets. 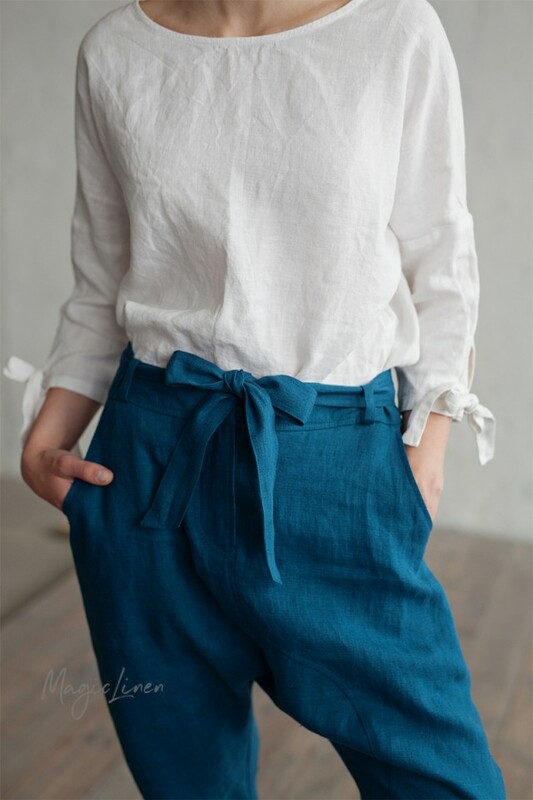 Breathable, lightweight, and effortlessly stylish, they can be worn as is or rolled up for a more casual look.